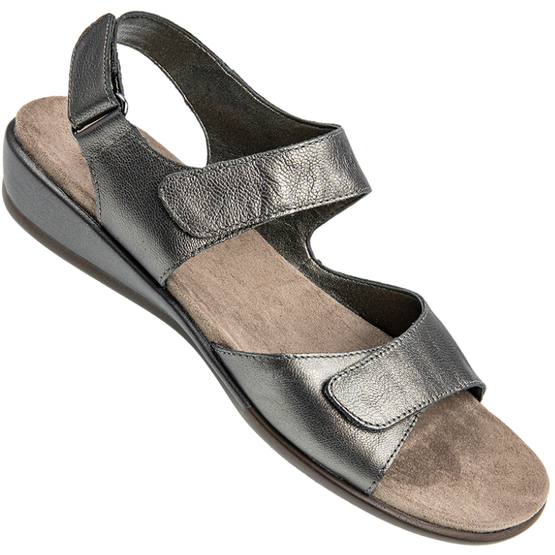 Comfort with adjustment at your fingertips with touch fastenings on each of the leather straps. The front strap has elastication with adjustment over and the top strap is fully adjustable. The outsole is durable and the insole is sueded fabric with a contoured footbed for superb comfort.